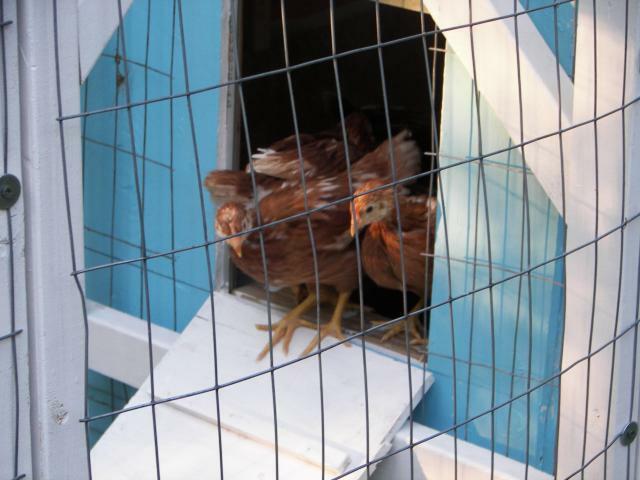 I began my coop by reading chickens for dummies and then asking questions on the forum. 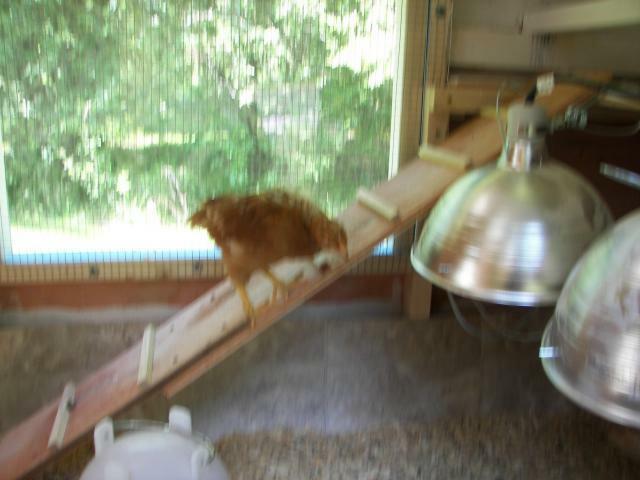 I am looking for about 40 eggs per week and have acquired 7 Golden Comets - I figured I needed about 4 square feet of coop space and 70 square feet of run. I came up with designs for a 4 x 8 coop and 5 x 16 foot run. 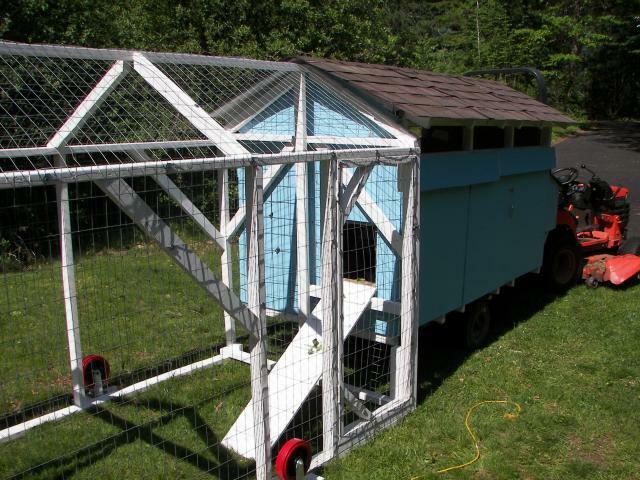 I have a big yard and wanted to build a tractor and had an old garden cart that I put the coop on. The cart was only 3 by 4, so I had to extend out a foundation on top of the cart. The walls are 4 feet high plus a gabled ceiling of another 12 inches. The ceiling is insulated with an inch of rigid foam. 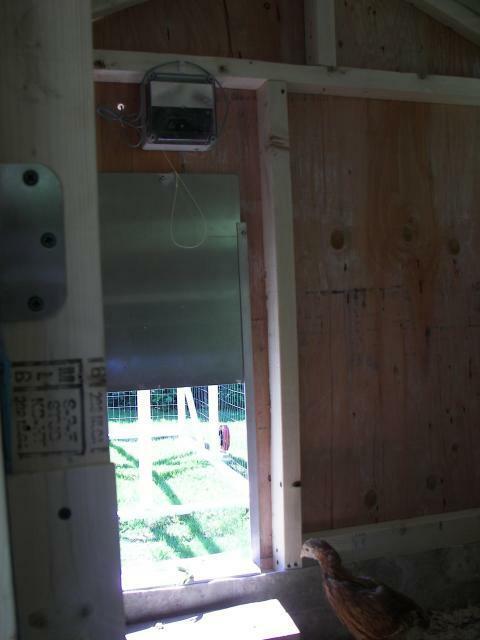 I put six inches of ventilation on both side walls, with hinged flaps that can be closed as needed. The flaps are split so I an close half if I want to. 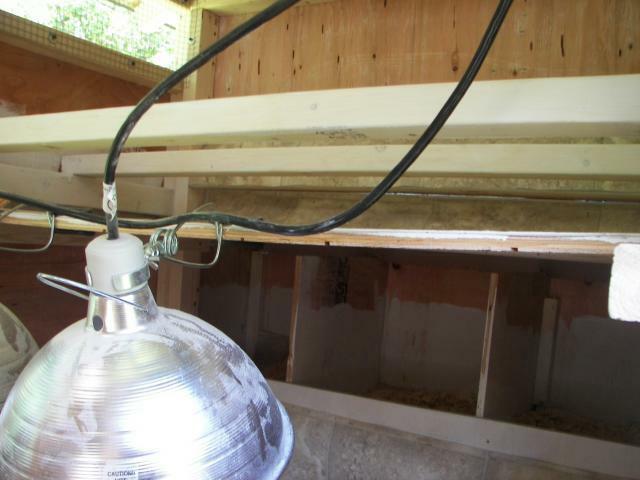 There are three nest boxes mounted externally on one end with a roost area and poop board at the same end of the nest boxes so I can remove the poop board from the same hinged cover that I collect the eggs from. 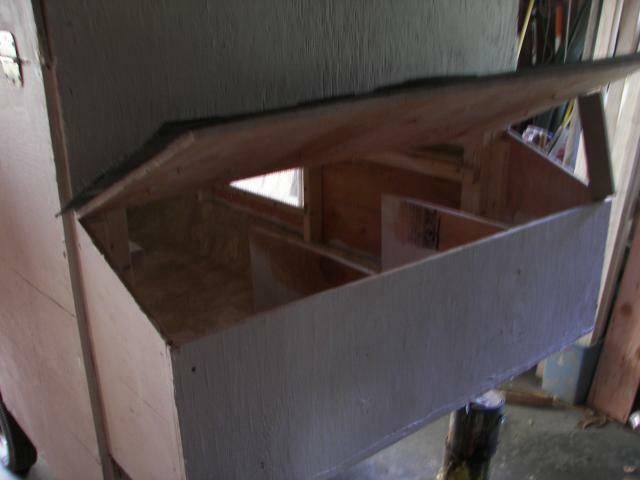 The foundation was 2 x 4's but I used 2 x 3's for all the other framing lumber; it was cheaper and lighter to work with. 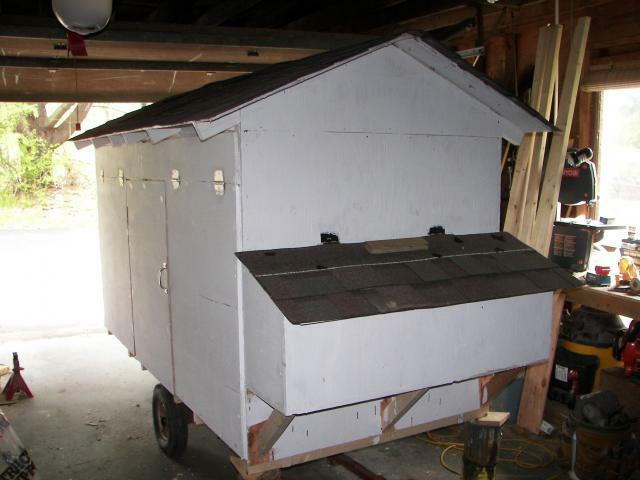 I scored some blemmed exterior plywood for the floor, sides, and roof at $5 a sheet, used some roof shingles left over from the house and bought a piece of linoleum for $60 for the floor and poop board. 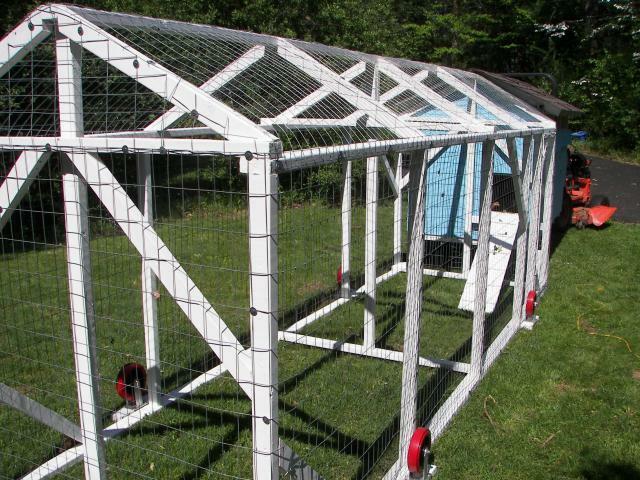 I also splurged on an automatic chiken door from Foys for $230. 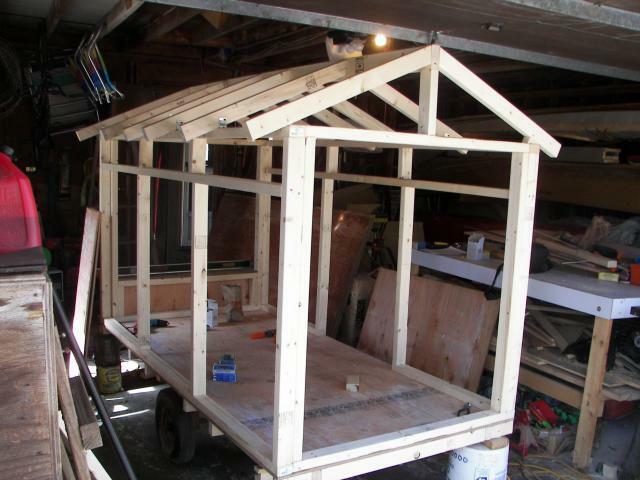 The run is two 16' 2 x 4's for the foundation, framed up with 2 x 3's. The walls of the run are 5' with another foot of gabled ceiling. Everything is covered with 2 x 4 welded wire. I found some nice wheels at TSC on clearance for $7 apiece which I put on hinged blocks. I plan on putting a tarp over the run for shade and rain protection. All told, I think I have about $500 invested in materials, though I haven't really kept good track of it. I went back to the hardware store many times for deck screws and a "few extra 2 x 3's". I've included some rough drawings which got me started, but you can see from the pictures I altered some of the plans. I very much appreciate all the advice I got on the forum and my comets are doing well. 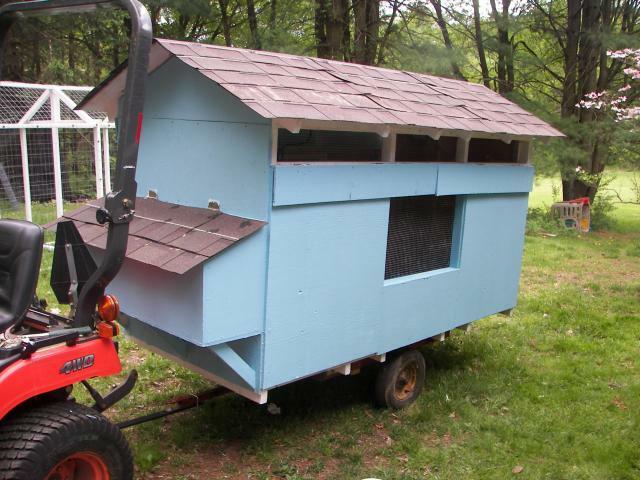 "nice lil' coop, great on wheels!" Overall this looks like a great coop! 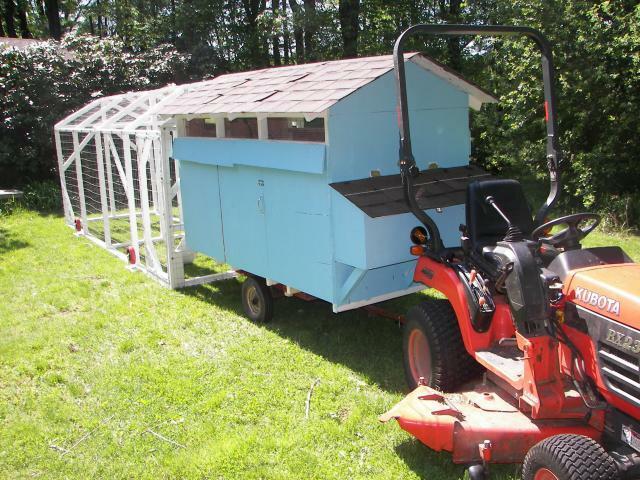 Also great tractor style for the coop and run. Would love to see more pictures of the inside. Did you talk about what you would do differently? Did you give us tips and tricks? Do you explain what you did? Several typos, one example is "an" instead of can, 0 stars. You had 10+ pictures but some of them were a little repetitive, pictures from a different angle but showing the same things, and you had 1 blurry picture. 4 Stars. You should read back through and fix some of the typos, also it would be nice if you could explain what you would do differently to improve the coop.